The following comes from a contributor who wishes to be simply known as Fatshady. Big thanks to Fatshady and the rest of the Trials HD community for all their hard work! 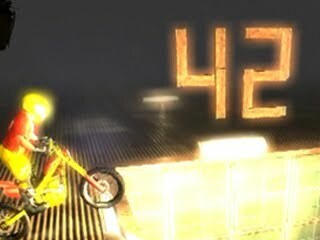 Every time I meet someone who has played or even heard of Trials HD, I mention the “Trials HD Riddle”. The entire story about it I find totally fascinating, largely due tot he fact that the riddle has remained so well hidden. 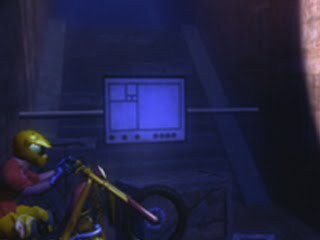 If you have ever played Trials HD, ask yourself this: Did you know that there were 18 unique Easter Eggs hidden within the tracks? Did you know these all connect to form a riddle that has remained unsolved for over two years? You didn’t? Well read on my friend, you are in for an eye-opening experience. When I reflect on just about any other game that has a large player base and numerous Easter Eggs, there are countless wiki’s, YouTube videos and walkthroughs on most websites. 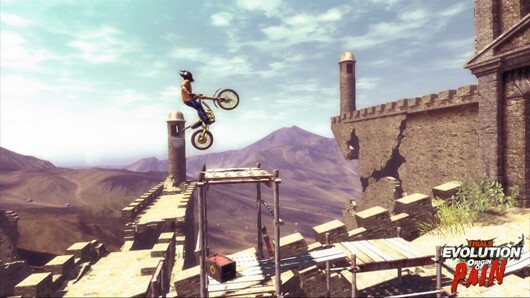 Trials HD was played by over two million people yet the smallest percentage of them even know that there are secrets hidden amongst the tracks. What is even more astounding is that an even smaller percentage know that all of these combine to form one of the most elusive riddles found within a video game. 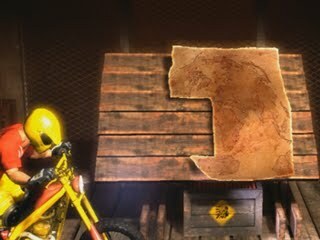 With the upcoming sequel, Trials Evolution due to be released on April 18, I thought it was appropriate to share this riddle story one final time to ensure that one of the most fascinating aspects of 2009’s ‘Best Overall Game’ is not forgotten about. This clue shows the Fibonacci pattern with a series of dots below it. Clues have been provided to suggest that the dots at the bottom of this image are actually binary code (dot = 1, space = 0). It reads 101010011110. When converted to decimal, the dots represent the number 2718. After some investigating, it was found that this clue was pointing to the mathematical constant ‘e’, which is 2.718 (and many more decimal places). The clue is a map of the world with a piece missing. The missing piece of the map is known as the Piri Reis Map. Details of this map can be found below. What is interesting about this map is that while it was written in 1513, there is information contained on this map to suggest it was made from referencing a large number of other maps of the time. The most significant map used is now known as the ‘Lost Map of Columbus’. 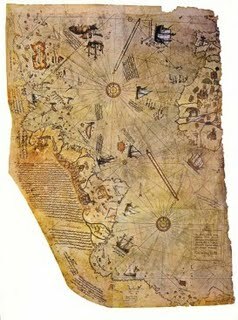 This early map supposedly made by Christopher Columbus and referenced by Piri Reis was so sought after, the US Secretary of State contacted their Ambassador to Turkey and asked that a formal investigation was launched to locate this map. It was never found. The Piri Reis map was created in 1513 but was only rediscovered in 1929. Like other portolan charts of the time, the Piri Reis Map exhibits a network of rhumb lines and compass roses. This is the only surviving remnant of what was thought to be a much larger map. After lengthy investigations and failed attempts to crack this code, it was found that this binary actually converts to a geographical location. To decipher this one, first binary was converted to decimal, then the decimal outcome was converted to Longitude and Latitude. The result was 60° 32′ 59.9994″, 101° 34′ 11.9994″ which is a location in the middle of Russia. 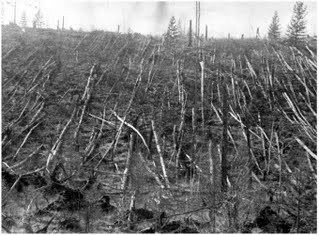 Further investigation resulted in the discovery of the Tunguska Event. This was the site of a massive natural explosion that occurred in 1908. The explosion is believed to have been caused by the air burst of a large meteoroid or comet fragment at an altitude of 5–10 kilometers (3–6 mi) above the Earth’s surface. The explosion is thought to have knocked down an estimated 80 million trees. 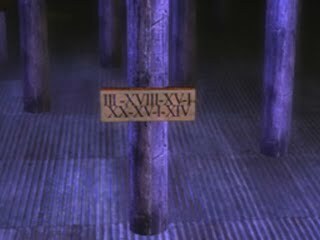 If those numbers were deciphered using a simple Alpha-Numeric Substitution Cipher (ie, a=1, b=2,c=3), they spell out the word “Croatoan”. There is a story of a ‘lost colony’ who carved the word “Croatoan” into a tree in the settlement of Roanoke. This was the only clue given to the group’s leader, John White, after he left back to England to get supplies. The English government officially declared the colony of Roanoke “lost” in 1597 yet it was never determined if they all perished or managed to survive by integrating with local inhabitants. On the left, this image shows a hand-like mechanical structure. This is thought to be a representation of a sketch made by Leonardo Da Vinci. On the right is the original sketch made by Leonardo Da Vinci depicting the flapping wing being pushed by a person. This image can be found within the book ‘Leonardo’s Notebooks’. Check out the boxes below. The box on the left is a recreation of a ‘Tannen’s Magic Mystery Box’. What is more interesting about this box however is its owner, JJ Abrams (Lost, Fringe, Mission impossible 3). It turns out that Mr Abrams was the guest editor of the April 2009 edition of Wired magazine. This magazine had a large number of puzzles hidden within its pages. It turned out that the puzzles all linked together to form a larger riddle (sound familiar yet?). The box on the right of one of Stanley Kubrick’s boxes. Statnley Kubrick was known for hoarding many boxes that related to the large amount of projects that he was involved in. We have been in contact with the archive in London who confirmed that the contents of this particular box is not known (as it has since been archived). This clue then is likely to be a reference to Stanley Kubrick. Here is a screen grab from the documentary titled ‘Stanley Kubricks boxes’. 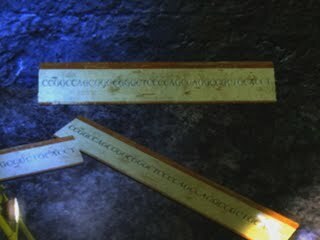 This is thought to represent DNA because of the letters used representing the 4 building blocks of DNA (Adenine, Cytosine, Guanine, Thymine) The letters are thought to read CCGGCCAGCGGCCGGGCTCCCCAGCCACGCCCCTGCACCT however the image is difficult to read in parts. These stars represent the Orion Constellation. The three stars in the middle being Orion’s belt. The Orion constellation is also known as the hunter. It can also be viewed from within the Great Pyramid in Egypt via a small shaft. This secret is a representation of the Fibonacci Sequence or the Golden Ratio. The first two Fibonacci numbers are 0 and 1, and each subsequent number is the sum of the previous two, for example, 0, 1, 1, 2, 3, 5, 8, 13, 21. On the right is the same image with the numbers shown, highlighting the spiral like nature of the pattern. This spiral pattern can be observed in nature in everything from sea shells, to rose petals, leaves on a branch and even our own galaxy (Milky Way). This secret (left) is thought to be a representation of a cave painting. This cave painting (right) is a replica of a 6000 year old cave painting found in Spain. This symbol has been identified as one part of the Interstellar envelope, a golden record that was placed on the Voyager spacecraft in 1977 and sent into space as a way of humans communicating to other intelligent life. This symbol is located in the bottom right section of the record. Given that Leonardo Da Vinci features elsewhere within this riddle, these numbers are thought to represent the year that Da Vinci was born. Charles Darwin is commonly known for his revolutionary theory of evolution, which would be documented in his work titled ‘On the Origin of Species’. During the 20 years he worked on this, he kept a number of notebooks. In one of them, from approximately 1837, he sketched the following to describe the evolutionary process. 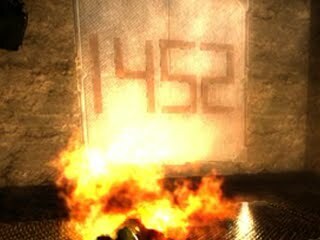 The number 42 is thought to be a reference to The Hitchhiker’s Guide to the Galaxy and in particular, the “answer to the ultimate question of life, the universe and everything” (which of course is 42). 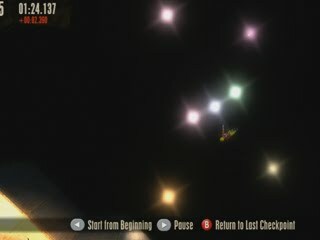 There is a track that was released within the most recent Big Thrills DLC named ‘Ode To Joy’. The moving circles within this track are the notes from the sheet music as shown here. There is a song with the same name written in 1785 by the German poet, playwright and historian Friedrich Schiller, celebrating the ideal of unity and brotherhood of all mankind. The ode is best known for its musical setting in D minor by Ludwig van Beethoven in the final movement of his Ninth Symphony (completed in 1824). There are two signs that need to be combined like this. When this occurs, the text and symbol become clear. This translates to “The Divine Proportion”, a manuscript by Luca Pacioli which concerns mathematical proportion and the golden ratio. The line with dots and the number 4 above this actually relate to the image within this text of a Rhombicuboctahedron that was illustrated by Da Vinci. The symbol here is the Coxeter–Dynkin representation of this shape. 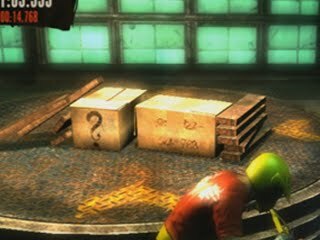 In subsequent discussions with the game Developer and riddle creator Antti Ilvessuo, he has confirmed that there is both a Question and an Answer contained with these clues. He has not revealed much else about these clues, only that we still need to dig deeper to uncover the meaning of it all. What does seem to be clear however is that while some of these clues are answered above, the developer is more interested in the backstory of each of these. The clues are only an invitation to more deeply investigate each of these items. Only then will the question and answer become apparent. While it may seem overly complicated when you see the variety and complexity of what has already been uncovered, trust me when I say that as we started out on this journey, no-one knew what a Caesar Shift was, or the Tunguska Event, or who Piri Reis was. These have all been made through simple curiosity, research and a bit of hard work. Everyone can contribute in some way, even if it is spreading the word about this riddle. I encourage all of you to be curious and ask questions. Join in on the conversations on the Redlynx forums and if you have an idea, even if it sounds strange, speak up. 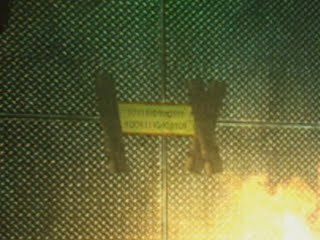 For further information or to assist in anyway, please see the Redlynx forum Easter Egg thread.